I threw this together on Saturday when I realized I didn’t have a Marisole for Monday. It’s not my best work, but I do love the sleeves on the red dress. I’m working on my ruching (sp?) since I got some books on drawing fashion from the library. So, you can expect to see more of it as I practice. I’m also practicing shiny fabric. Neither has come easily as I thought it would. I’m trying to stretch myself. Part of that means trying to draw an actual male who looks like a male rather then like a rather unconvincing woman in drag. The upside is there might be a male paper doll someday. The downside is that that male paper doll might look like a woman in drag. We shall see. It is very nice. I do want to see some fantasy-ish stuff, though. I want to know what you come up with! 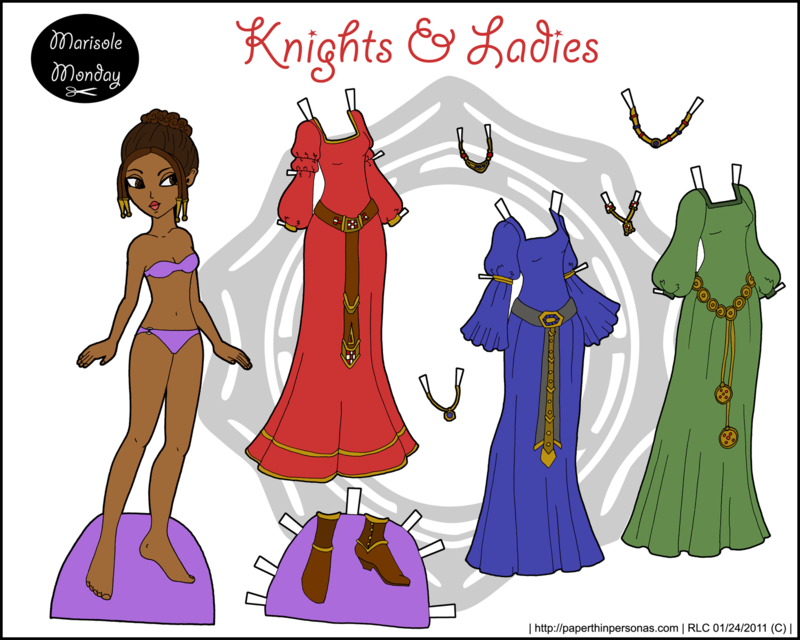 I love paper dolls! I used to play with them when I was a little girl! I had been looking for them for a while, I didnt like most of them but yours are very pretty! Thank you for sharing! I like the sleeves too!! Hey– I’m always on the lookout for more fashion books. Do you still have the titles of those? What fashion books to you usually use?